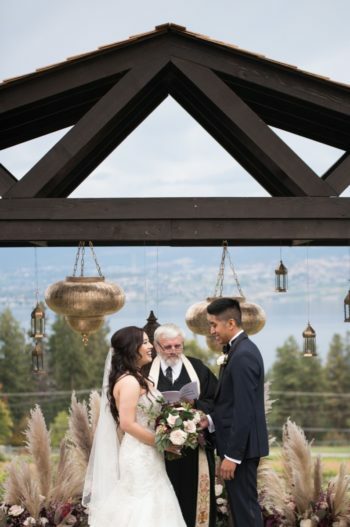 Natasha & Chris were married with Summerhill Pyramid Winery’s stunning lake views. 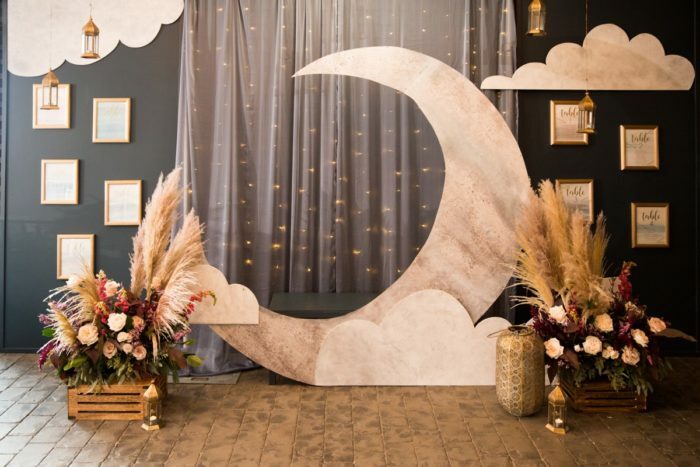 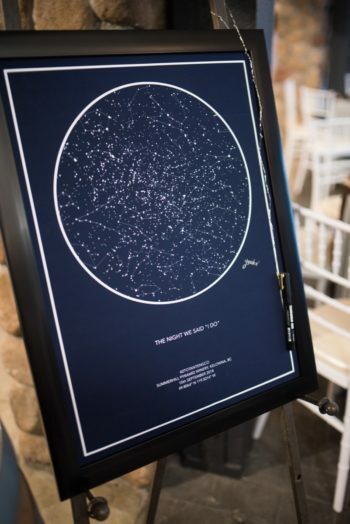 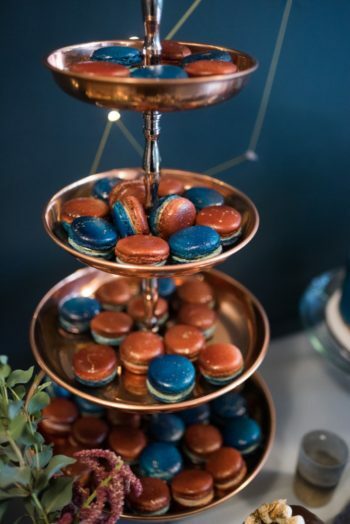 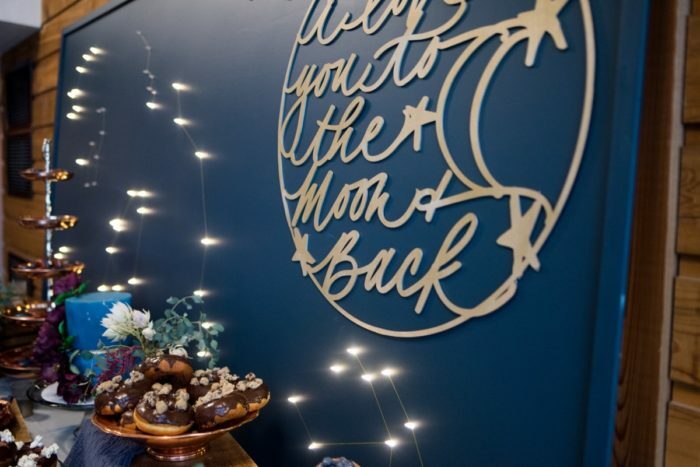 Vintage Origami put together a custom-built moon photo booth at the entrance to their reception and created a “Love You to the Moon and Back” constellation backdrop for the dessert table. 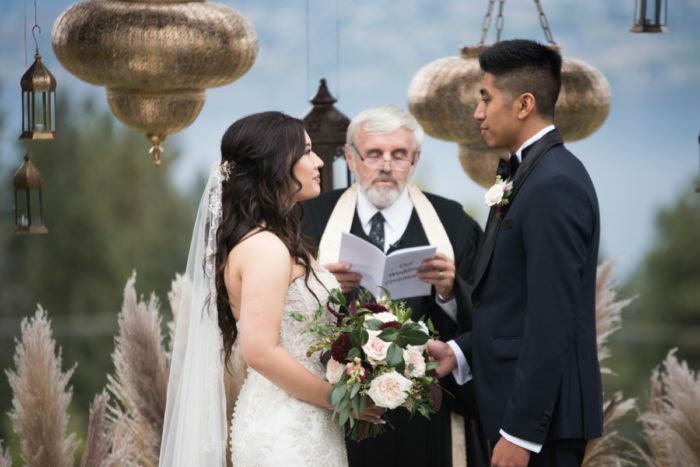 Photos by Alisha Khan Photography. 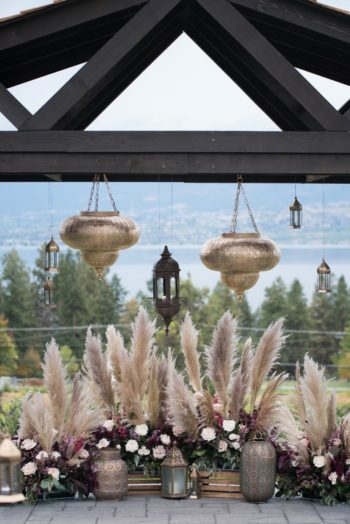 Florals by Petal and Vow.